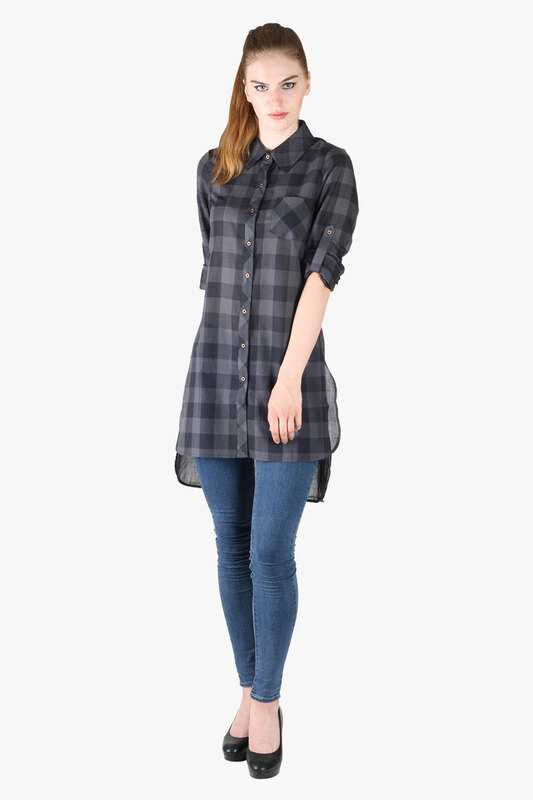 The next time you step out with friends for a weekend outing make sure you look your stylish best wearing this High low grey shirt from Owncraft . 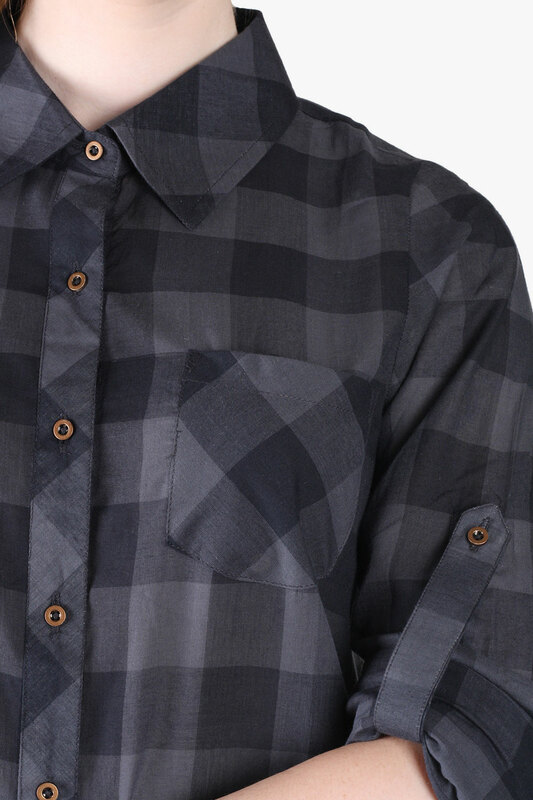 This super fine cotton shirt will keep you cool and comfortable all day long. 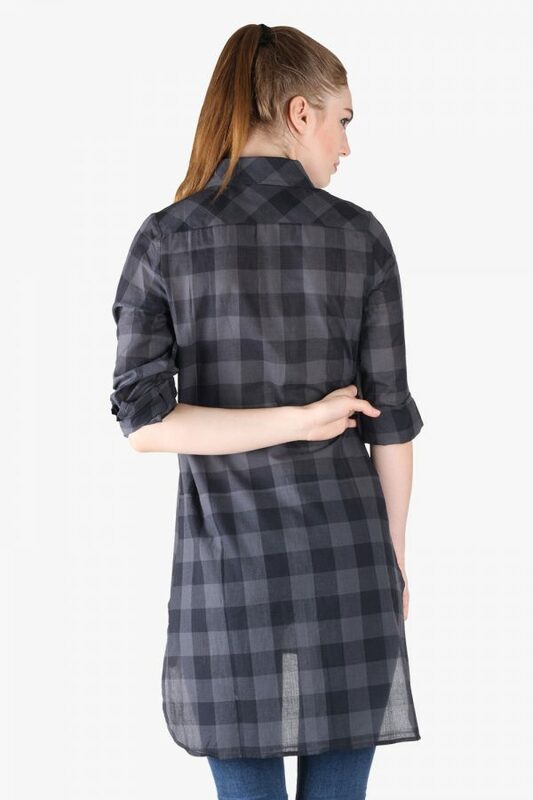 This grey check shirt with classic collar having turn up sleeves , beautifully designed long back and short front will go well with skinny jeans & heels.